Things are not always what they seem. Subversions are a way to go against the grain. Look closer and you can find beauty in decay. Darkness can sometimes be hidden in the light. ​Snap, Crackle, Pop! Let’s start the New Year right. Snap! is a quick turnaround show filled with bright, delicious artwork hung salon-style and ready to be snapped up by Bay Area art lovers. Reflections on the stories and memories that bodies carry, and the processes of release. 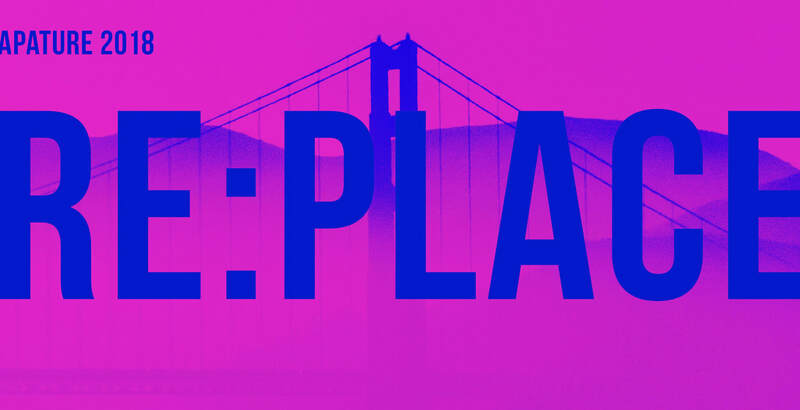 ​APAture is Kearny Street Workshop’s annual multidisciplinary arts festival celebrating emerging Asian and Pacific Islander artists of the Bay Area. 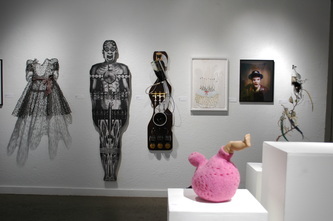 FourSquared is a unique exploration of the works of sixteen Bay Area artists. 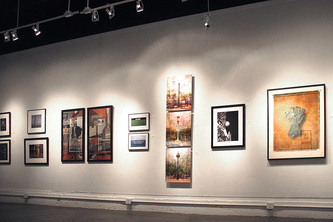 Each of the artists has produced sixteen small works, presented in sixteen clusters giving the audience the experience of sixteen micro solo exhibitions. All works are priced under $500. ​"ArtSpan's Youth Open Studios Winter Exhibition"
The Youth Open Studios Winter Exhibition showcases the artwork of ArtSpan's community partner youth groups that participate with the Youth Open Studios program. There will be performance and hands-on art activities for the youth artists and their families. APAture is Kearny Street Workshop’s annual multidisciplinary arts festival celebrating emerging Asian and Pacific Islander artists of the Bay Area. What plants & animals inhabit our Earthly Paradise and where do humans fit in? During the summer of 1967, as many as 100,000 young people converged on Haight-Ashbury, making San Francisco the epicenter of the hippie revolution. Artists explore this theme in their new work. This collection of paintings plays with everyday urban scenes, beloved icons and word play. 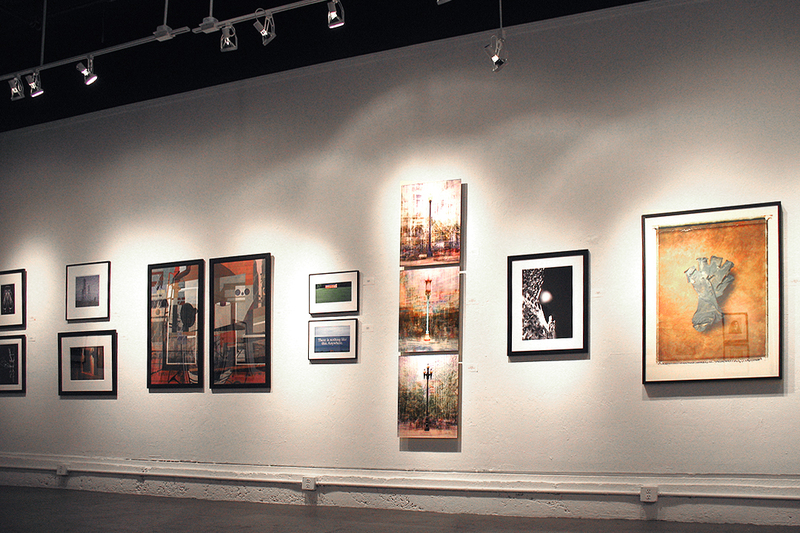 24 local artists produce two pieces each on identically sized panels that will ring the gallery - 48 works total. Death of a Clown was inspired by the spooky, surreal quality of abandoned amusement parks such as the Six Flags New Orleans. Are these places truly abandoned? Snap, Crackle, Pop! Let’s start the New Year right. Snap! 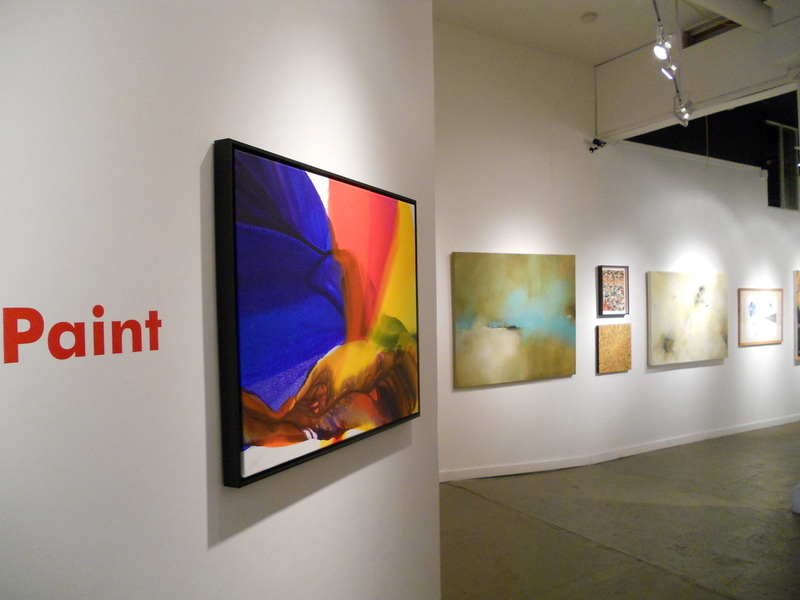 is a quick turnaround show filled with bright, delicious artwork hung salon-style and ready to be snapped up by Bay Area art lovers. "F*ck U! In the Most Loving Way"
The exhibition examines the process of uprooting and transplantation in a human context. The creative spirit often spins out of control. How does one handle a vortex of senses, impressions and memories and capture the experience in the form of art? Art lovers are invited to meet the artists and build their art collections. Secrets can be shared overtly or be obscured. Fusion is the binding of two or more things into something new. "FLOW: The Essence of Paint"